Exterior shutters are a final touch that can make or break the look of a home. When thoughtfully designed, they enhance the exterior aesthetics of a home and provide lasting curb appeal. When not designed or installed properly, they take away from the look of the home and often times end up completely ruining it. 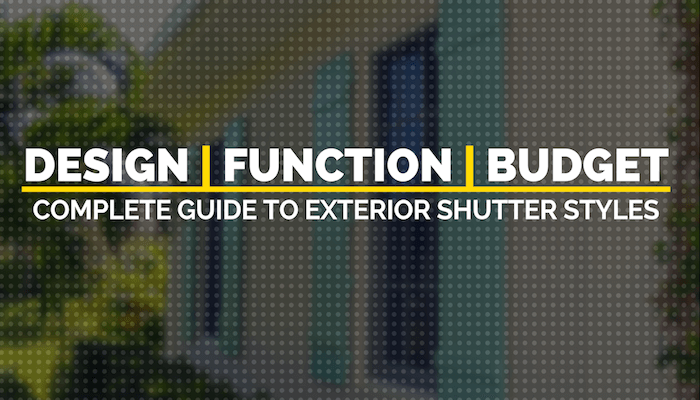 Design and function are the two biggest considerations to make when choosing exterior shutters for your house. First, decide if you are in the market for a functional shutter (like a hurricane shutter), or something that is purely decorative. If you are in the market for a functional shutter, choose a shutter manufacturer that couples function and design. You shouldn’t have to sacrifice the exterior aesthetics of your home in order to get a reliable shutter that serves its purpose. Each house is different and should be treated as such. A shutter style and color combination that works really well on one house, may not have the same appeal if installed on another. Choose a shutter company that understands this and can properly assist you in choosing the perfect shutters for your home, specifically. The company you choose should manufacture a variety of shutter styles and offer a large selection of shutter colors so you’re able to get exactly what you need in terms of design, function, and budget. We hope this post serves as a helpful guide, providing you with the information you need to choose the best shutter style for your home. 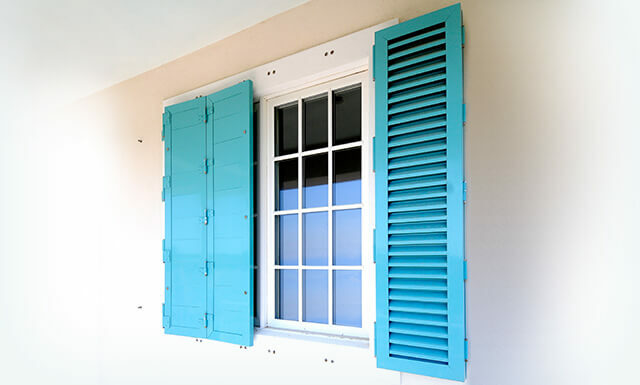 Bahama shutters (also referred to as Bermuda Shutters) have been used for centuries for protection from the intense heat of the sun. The Bahama shutters unique design not only adds a charming island appeal to your home but also proves to be incredibly effective in its function. 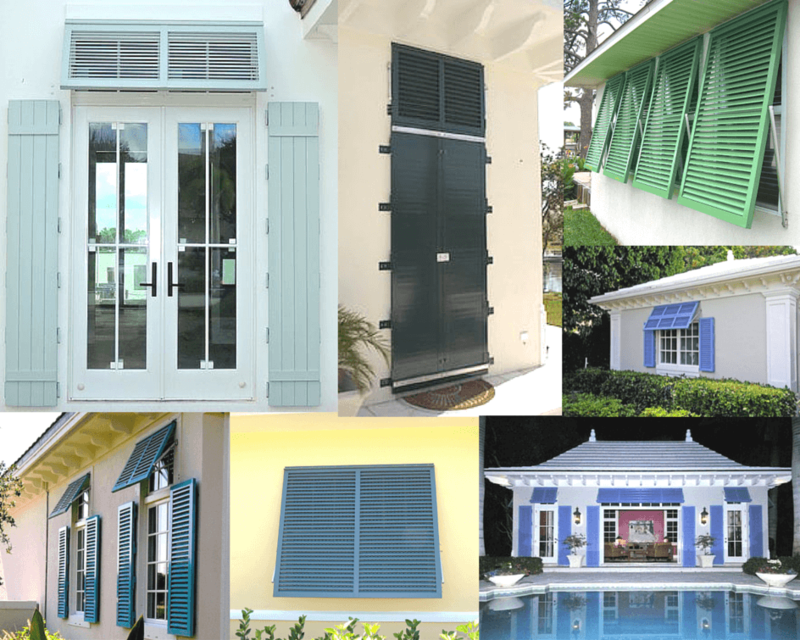 Bahama shutters can remain open at all times, left partially open, or closed completely. 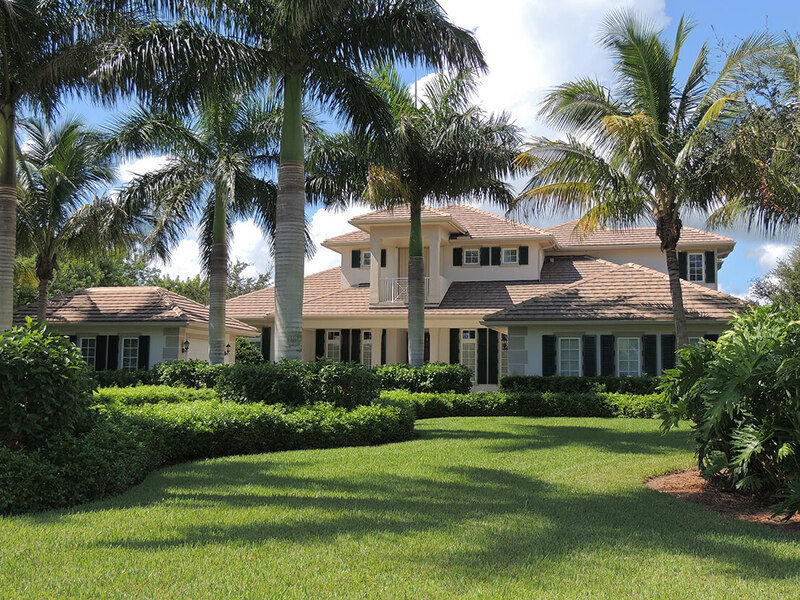 When opened, Bahama shutters provide much-needed protection from the sun and can help reduce energy costs. They also provide additional privacy from neighbors. When completely closed, they provide reliable protection from intrusion and severe weather. No matter what position they’re in, they allow for light and ventilation and provide lasting curb appeal. 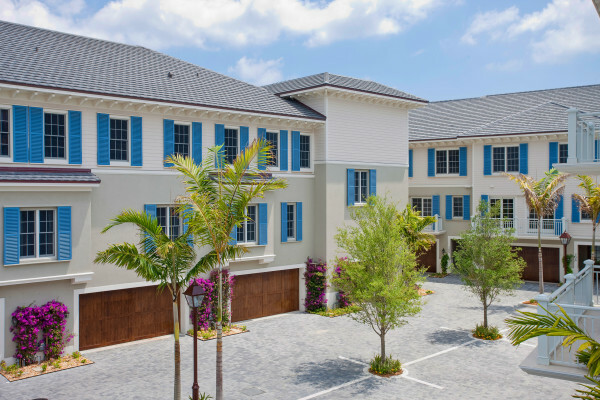 What Openings Are Bahama Shutters Good For? 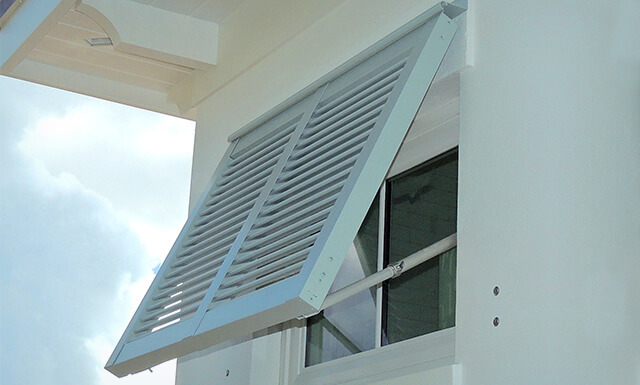 Bahama shutters should be relatively easy to operate when manufactured properly. 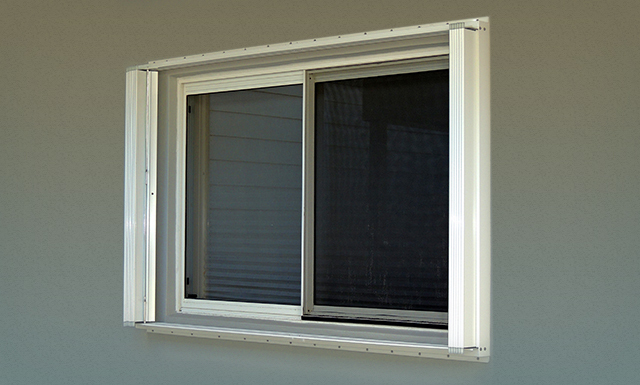 We manufacture our Bahama Shutters with adjustable aluminum arms specially designed for versatility and ease of use. This means anyone can easily adjust them as needed, with very little effort. 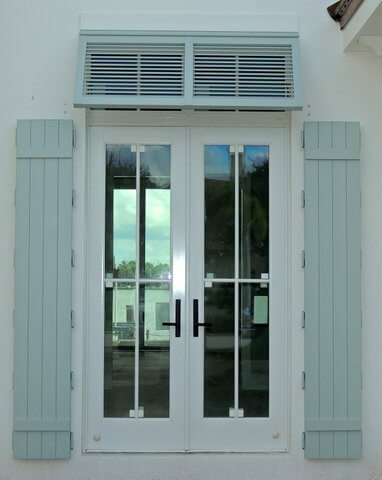 Bahama shutters can be purely decorative, but are also available as code approved hurricane protection. 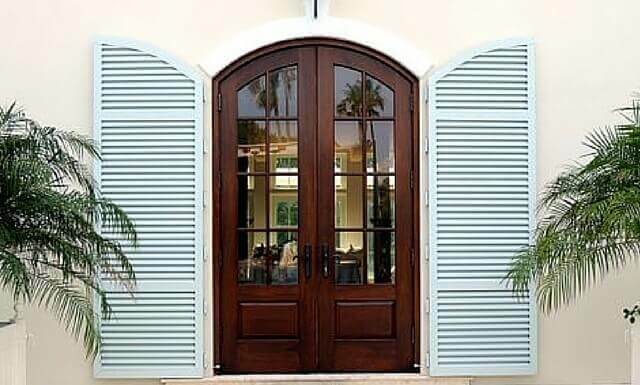 Be sure you specify whether you want decorative or hurricane bahama shutters so they’re properly manufactured to fit your needs. Click on an image to view it larger. 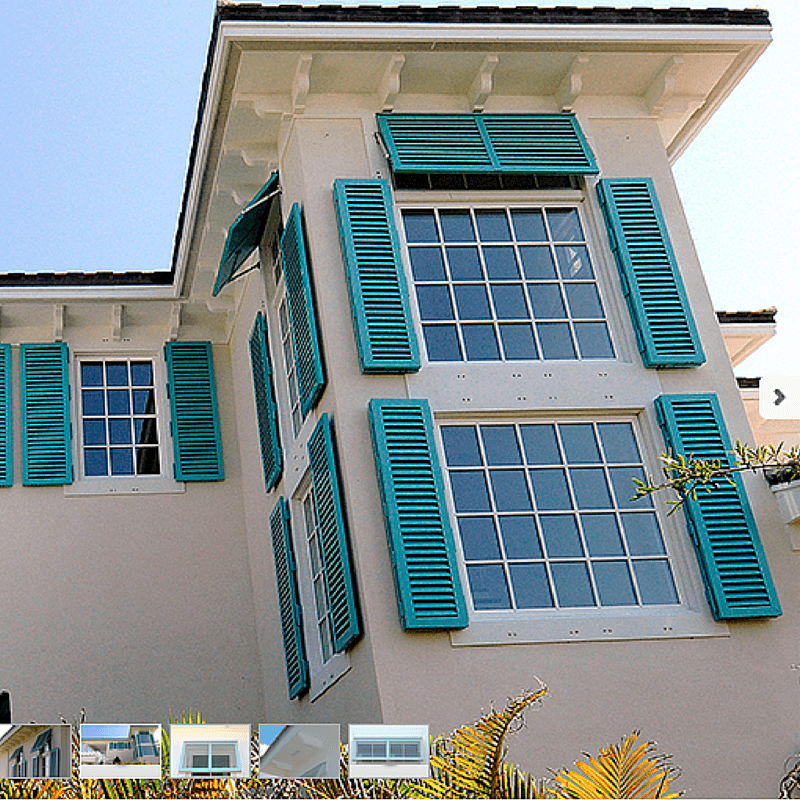 These images are of Bahama Shutters designed, manufactured and installed by Palm Coast Shutters & Aluminum Products. 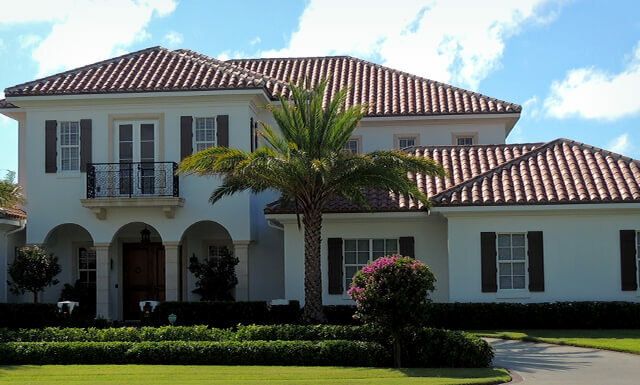 Learn more about Bahama Shutters from Palm Coast. 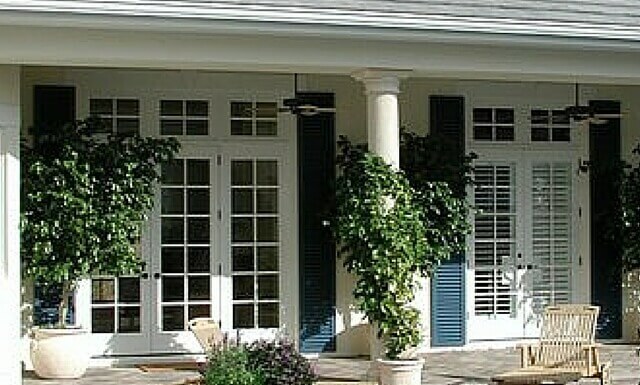 Colonial shutters are most likely what you picture when you think of exterior shutters on a house. They offer a classic style and architectural appeal that enhances the look of a home. 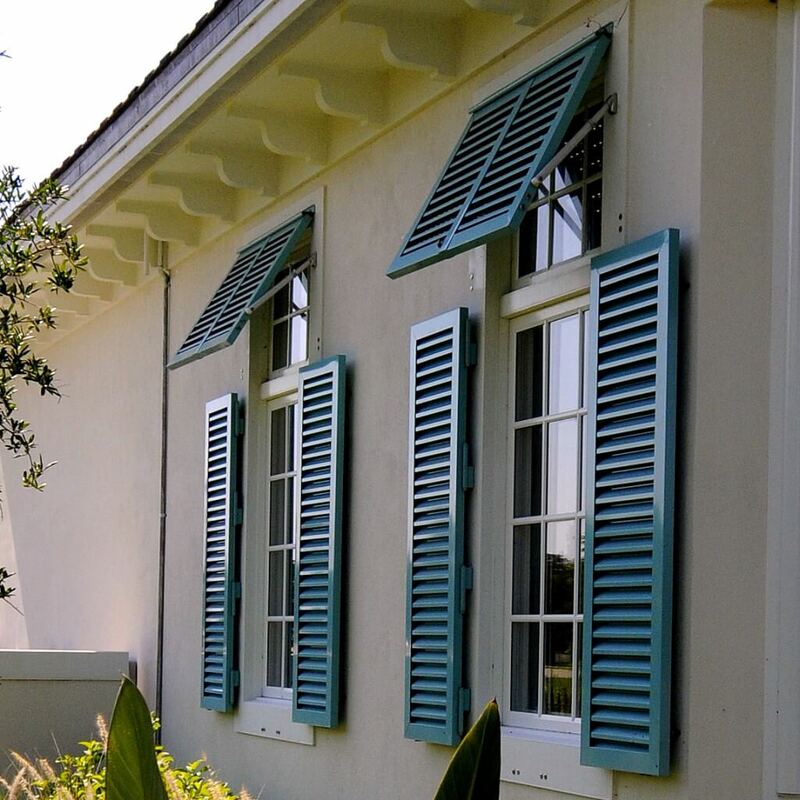 There are different styles of colonial shutters. The oldest and most common is the Board & Batten Colonial shutter. Other styles include open louver and solid back colonials. The board and batten style shutter is constructed using vertical boards, and horizontal battens. Not sure what that means? No problem! Take a look at the image below. This is a board and batten style shutter we recently installed on a client’s home. You’ll notice the vertical boards and the horizontal “battens”. Open Louver Colonials are another common style. 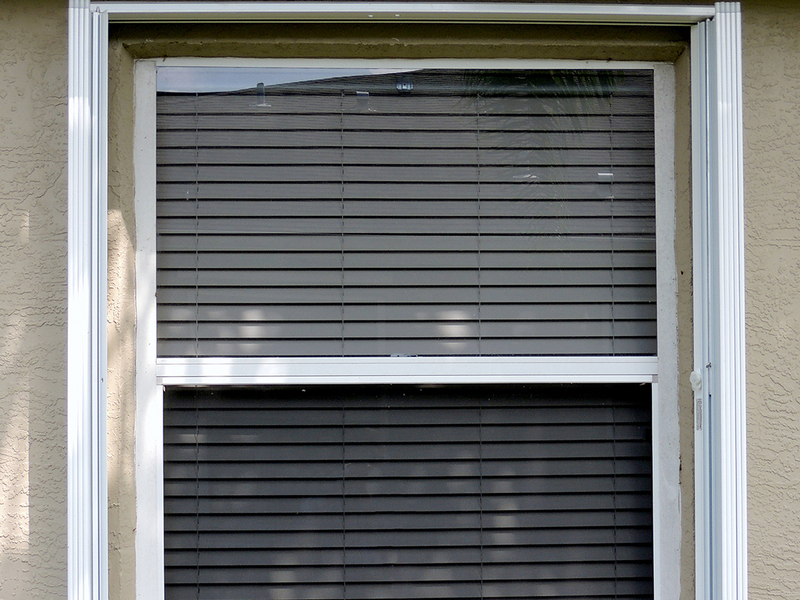 This style of shutter has fixed or movable horizontal slats that allow for ventilation. Last but not least there are Solid Back Colonials which are exactly like the open louver colonials shown above, with the exception of the solid back this style has when in the closed position. 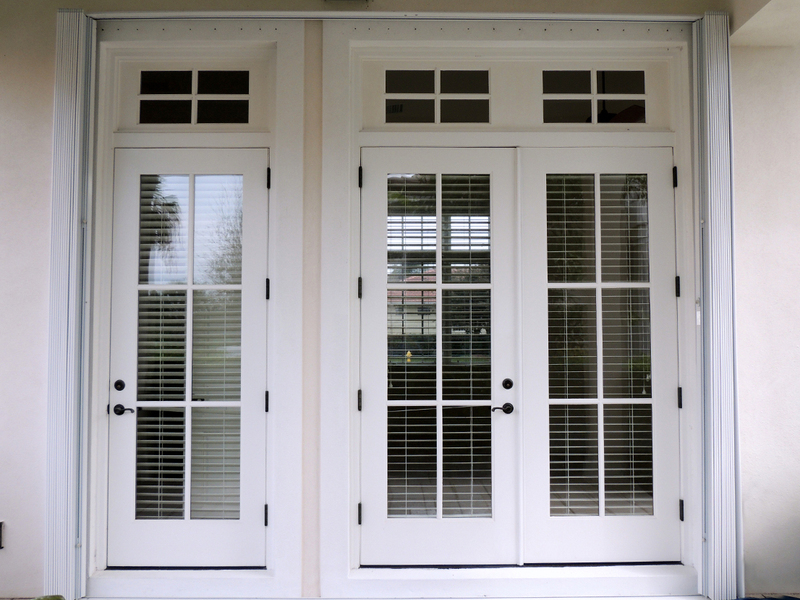 When opened, Colonial shutters give your home an elegant charm and appeal. When closed, they provide outstanding protection from intrusion and severe weather like hurricanes. 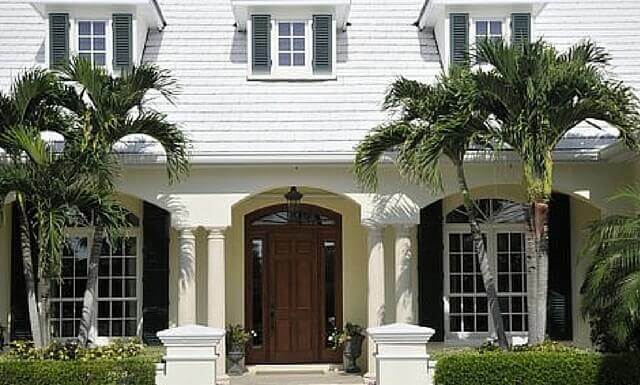 At Palm Coast, we’re able to manufacture all of our colonial shutters with arched, angled, curved or flat tops. This is important because not all shutter manufacturers are able to do that, and if any of the openings on your home call for an arched, angled or curved top colonial, trust us when we say, that’s what you want to make sure you install! This is because it ensures it follows the openings style/look and keeps the home architecturally correct. Putting a rectangular colonial next to an arched window wouldn’t look right at all and could throw off the exterior design and appeal of your home. 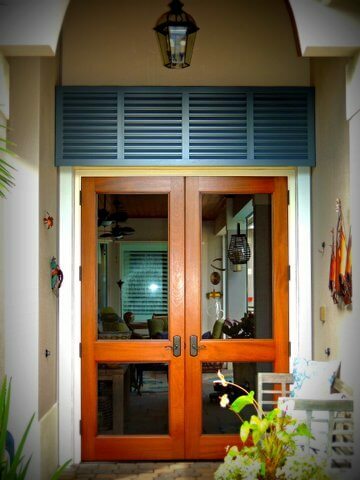 The important takeaway is, be mindful of all the colonial shutter styles that are available and make sure you consult with a good shutter company that is able to assist you with choosing and manufacturing the shutters that will serve your home best in both style and function. 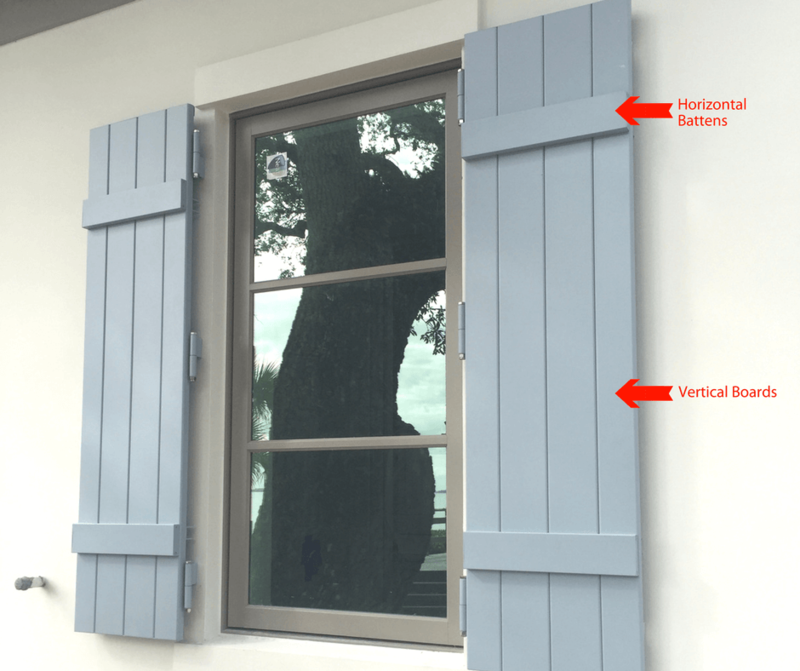 What Openings Are Colonial Shutters Good For? The ease of use for this style depends on how the shutter is manufactured and installed. If thoughtfully done, they should be relatively easy to operate. 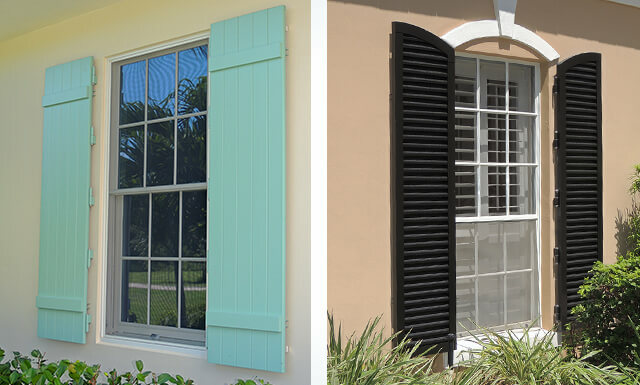 Colonial shutters from Palm Coast are strategically designed for versatility and ease of use. This means, virtually anyone can open and close them as needed, and in half the time as other manufactured colonials. 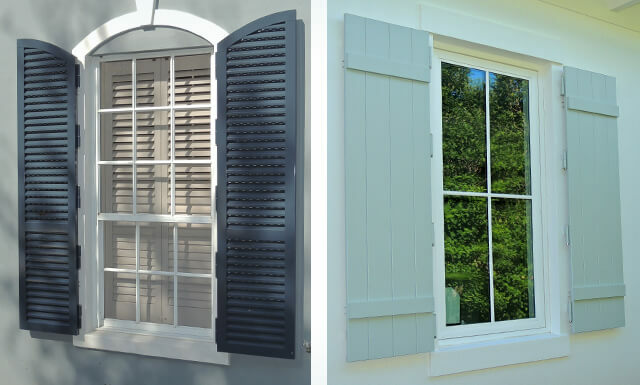 Colonial shutters can be purely decorative, but are also available as code approved hurricane protection. Be sure you specify whether you want decorative or hurricane colonial shutters so they’re properly manufactured to fit your needs. Click on an image to view it larger. 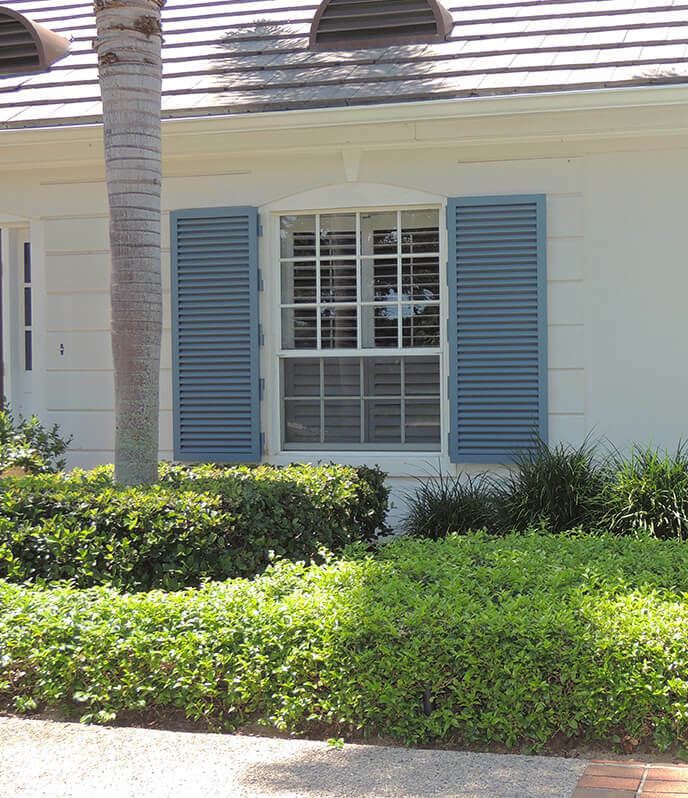 These images are of Colonial Shutters designed, manufactured and installed by Palm Coast Shutters & Aluminum Products. 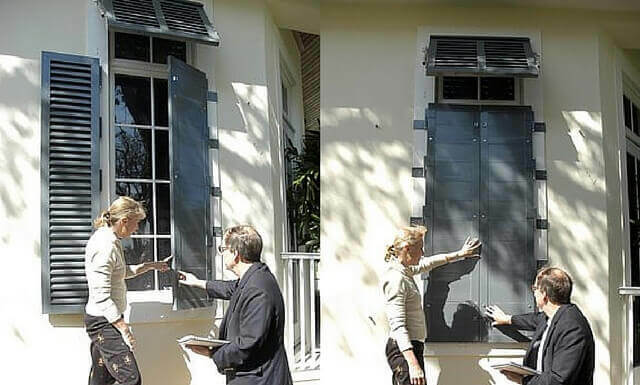 Learn more about Colonial Shutters from Palm Coast. 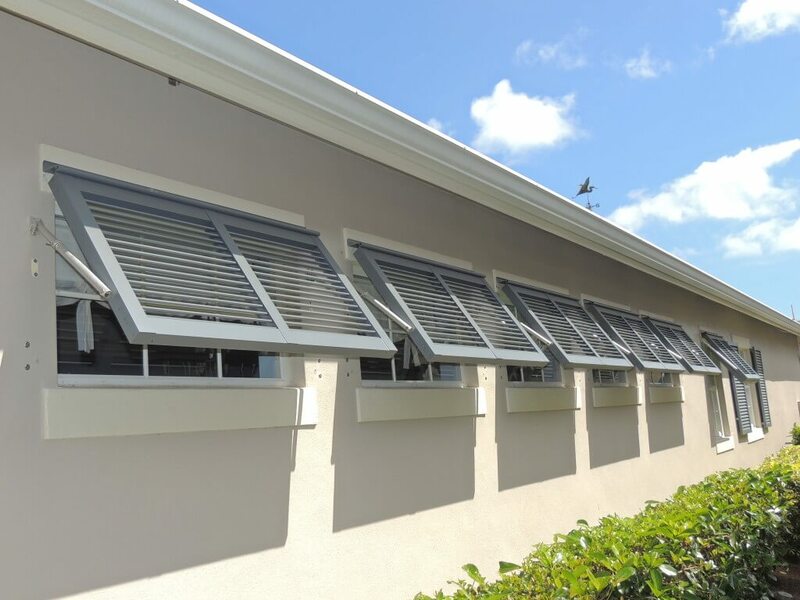 Accordion shutters are a very popular choice for hurricane protection, mainly because they are incredibly easy to deploy when needed. 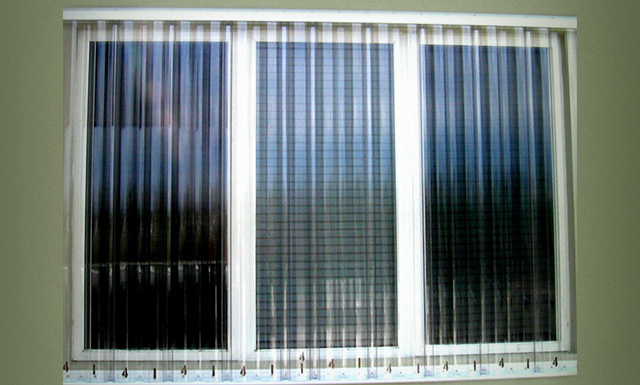 Accordion shutters open and close much like interior vertical blinds and stack much the same way in the open position. They can be stacked equally or to one side, and are held in place with locking pins. When a hurricane threatens, all you have to do is gently guide them to their closed position as the accordion blades are designed to roll in the tracks and lock in the middle. 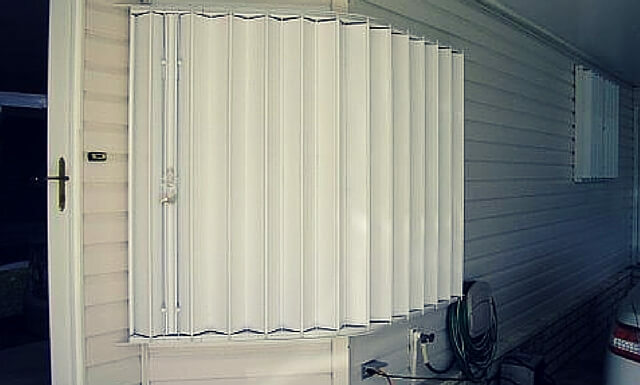 Reliability, ease, and convenience are accordion shutters main selling points. 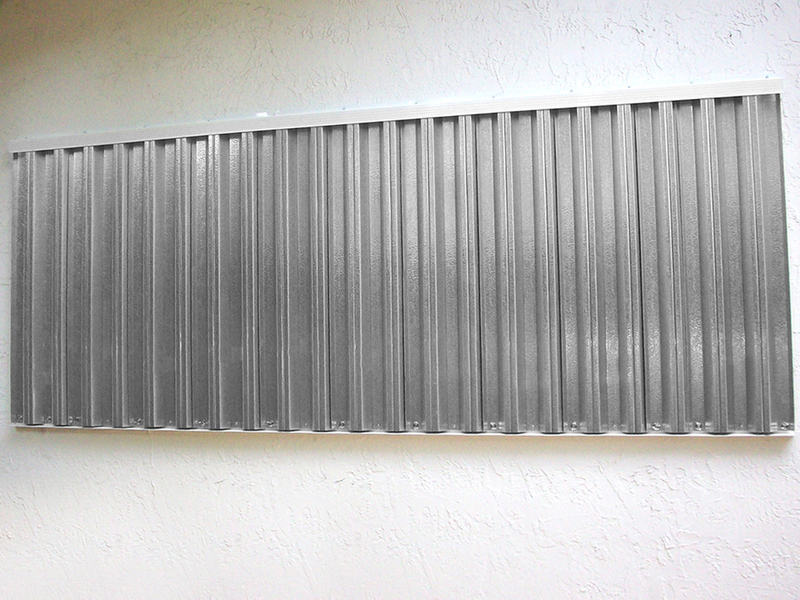 The biggest objection to accordion shutters is their appearance. 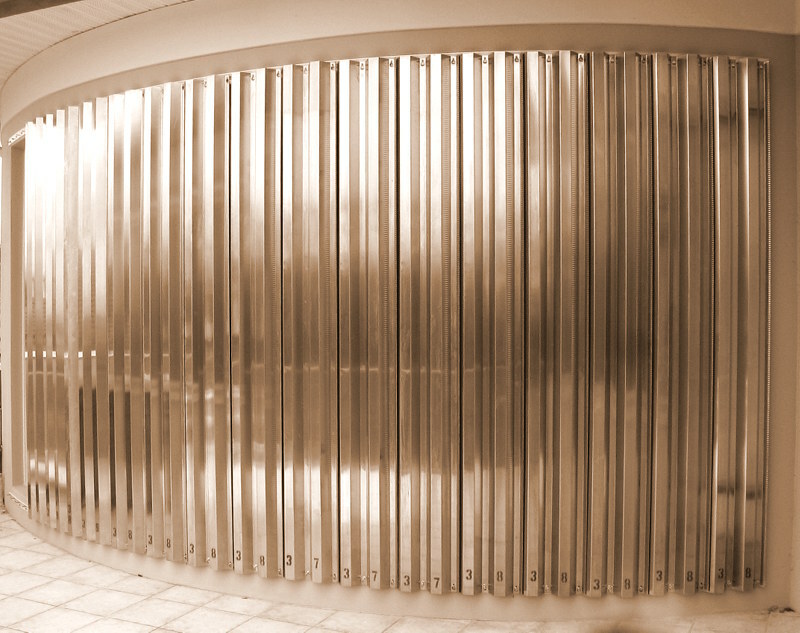 When closed, standard accordion shutters are stacked to one side and held in place with locking pins. The stacks are noticeable on the exterior of the home, which is a deterrent for a lot of homeowners. 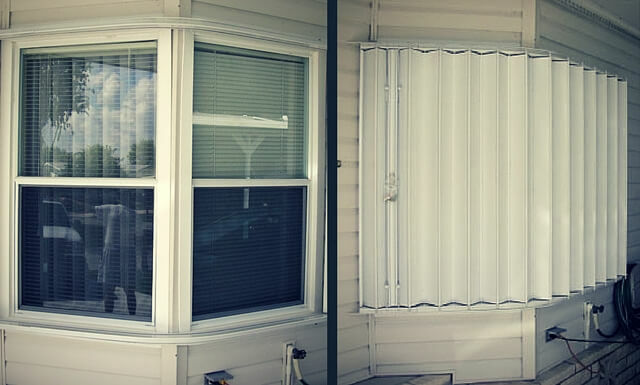 Though the ease and convenience of accordion shutters is nice, some homeowners do not want to sacrifice the exterior aesthetics of their home. What Openings Are Accordion Shutters Good For? Accordion shutters are incredibly easy to deploy. Virtually anyone will be able to effortlessly open and close them as needed. 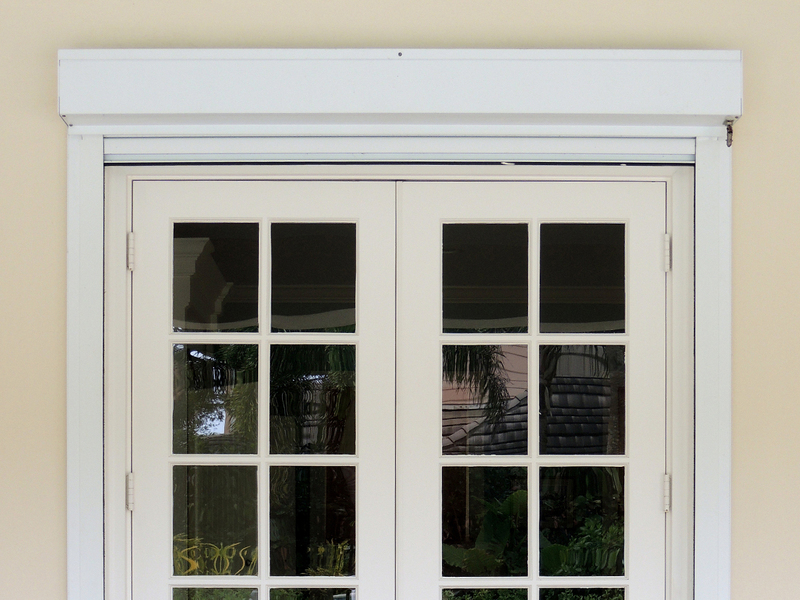 Accordion shutters from Palm Coast are even easier to operate due to their special design that allows for “fingertip operation”. This means, all you have to do is gently guide the accordion shutter to its closed position with little to no effort and then lock it in place with the provided hardware. Accordion shutters are never used as decorative shutters as they are not designed to enhance the look of your home, but rather make sure it is properly protected. Accordion shutters are about function, not beauty. They are a popular choice in hurricane protection due to their convenience and ease of use. If you are concerned about the look of accordions, check out our ‘Pocket Style Accordions’ described below. Click on an image to view it larger. 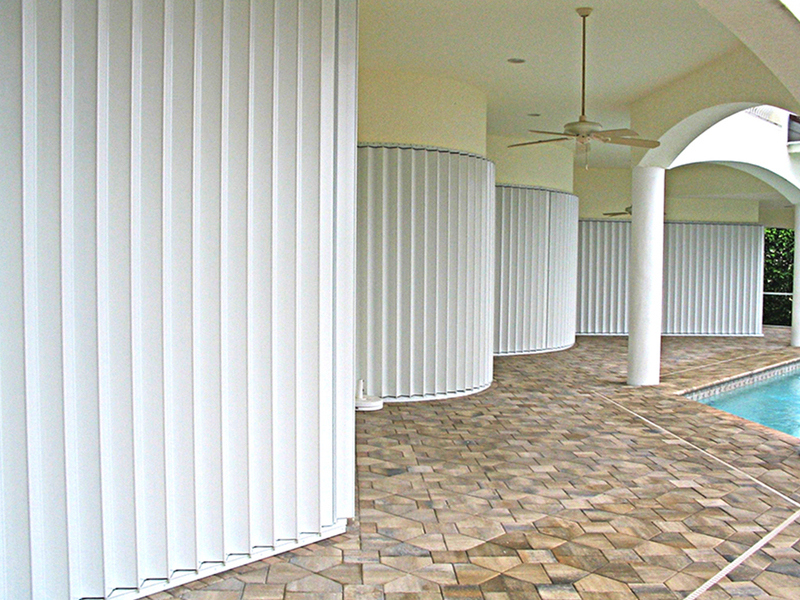 These images are of Accordion Shutters designed, manufactured and installed by Palm Coast Shutters & Aluminum Products. 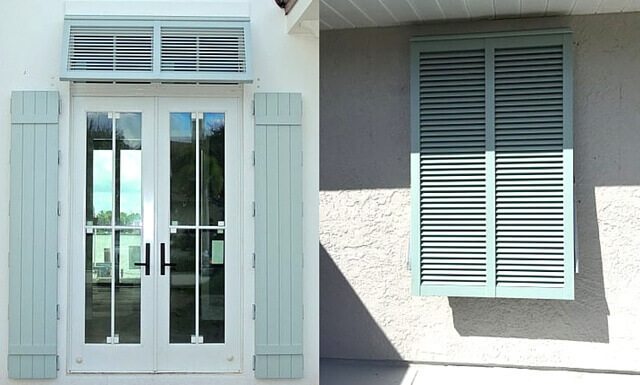 Learn more about Accordion Shutters from Palm Coast. 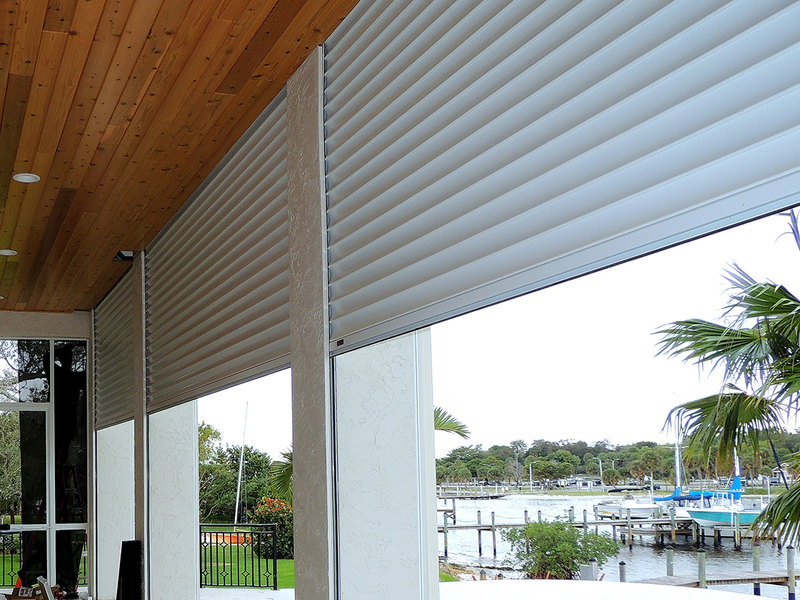 Rolling shutters offer code approved hurricane protection at the ease of a button or easy manual operation. They are a great option for second story openings and can double as blackout shades. 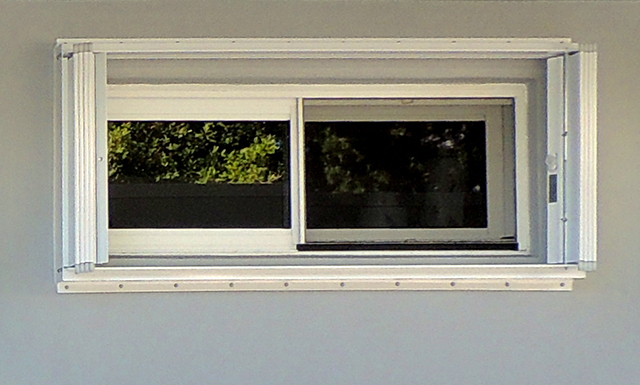 The shutters are installed above the window and roll up to store in an enclosed box when not in use. 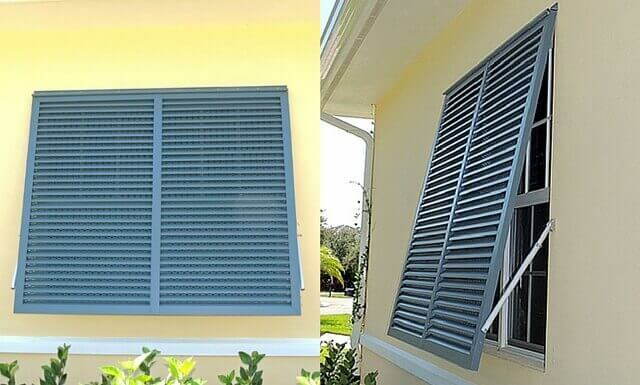 Rolling shutters are the easiest shutters to operate. Since they’re so easy to operate, many homeowners use them as additional protection from burglars when leaving town for any period of time. 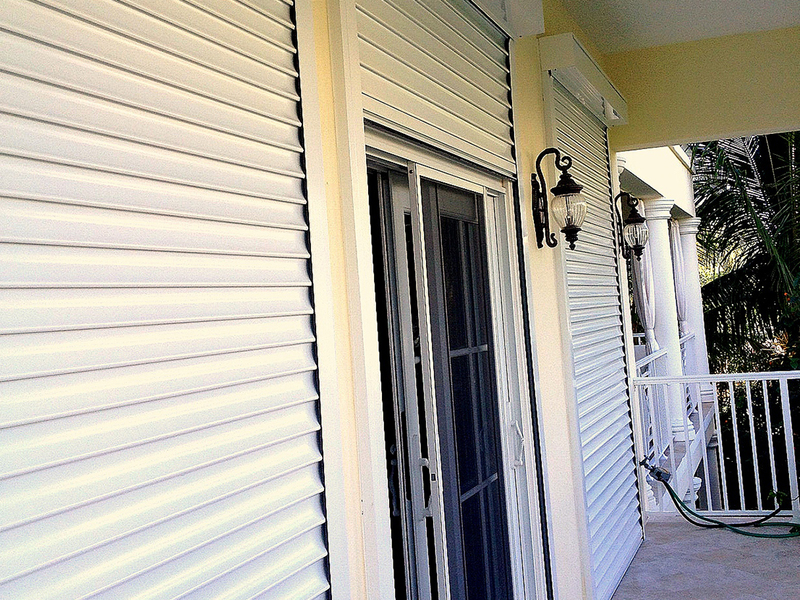 In hurricane-prone areas, homeowners install rolling shutters to enclose their porches. They do this so they’re able to use their porch as a place to store their outdoor furniture, so they don’t have to drag it inside their home in the event of a hurricane. 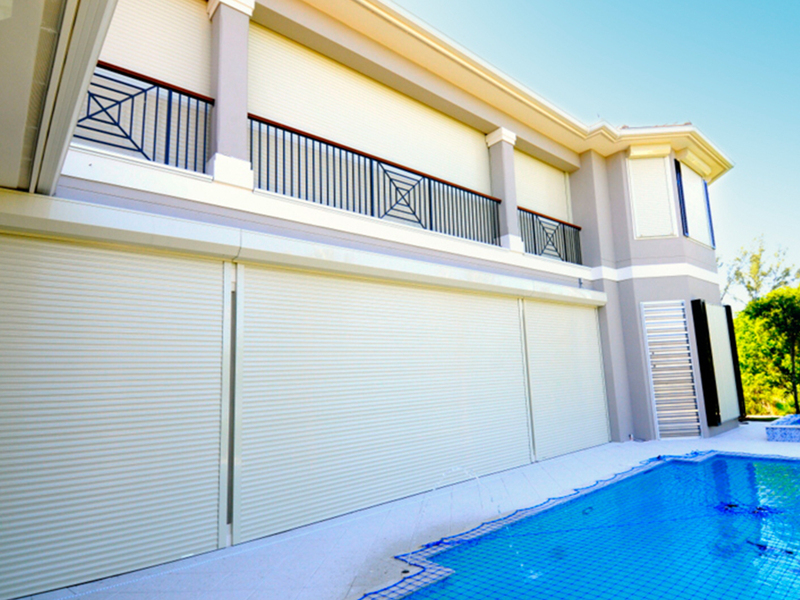 Many shutter manufacturers offer rolling shutters with manual operation, usually using a specially designed manual crank or automatic operation that allows you to deploy the shutters at the ease of a button. As you can imagine, the automatic rolling shutters will cost more than the manually operated rolling shutters. What Openings Are Rolling Shutters Good For? Rolling shutters are incredibly easy to use. Out of all the hurricane shutter styles, this one is the easiest to operate. You can choose between manual or automatic operation. 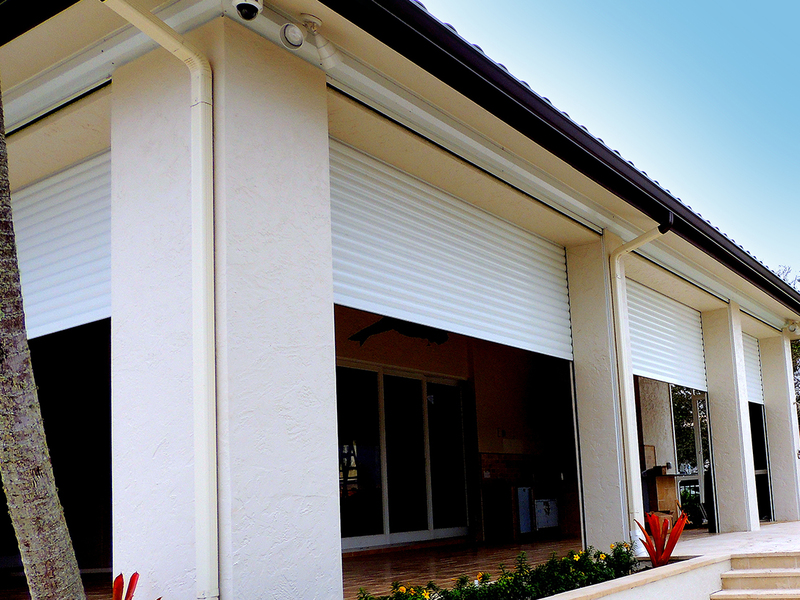 Automatic rolling shutters can be operated with an iPad, remote or switch. At the tap of a button, or flip of a switch you can deploy your rolling shutters. This makes them ideal for quick and reliable hurricane protection or added protection from intruders when you’re out of town. Their easy deployment even makes them a viable option for blackout shades! If automatic rolling shutters are not what you’re looking for, there is also manual option that is still very easy to operate. Most manual rolling shutters are operated using a longer reach hand crank to reach the mechanism used to lower and raise the shutters. Rolling shutters are more about function than beauty. You would install these for hurricane protection, to use as blackout shades, or for additional protection from intruders when you’re not there, but not for any decorative purposes. Click on an image to view it larger. 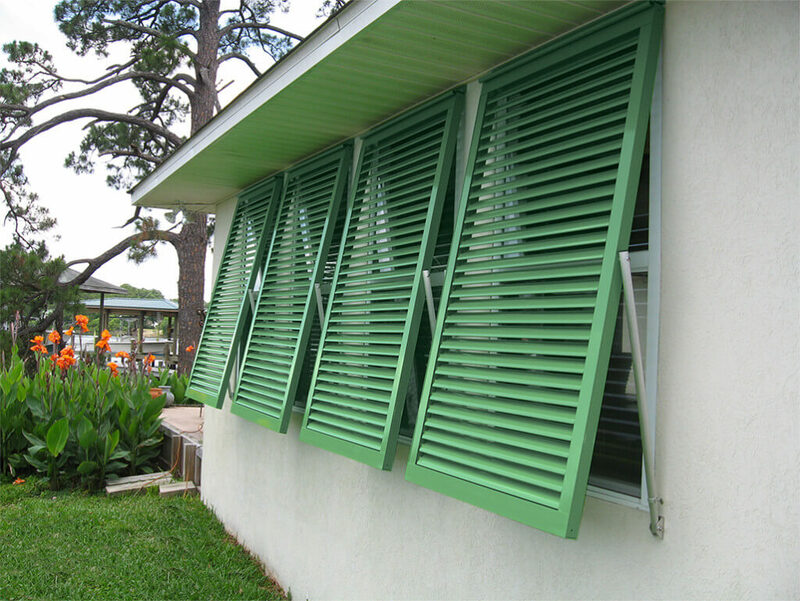 These images are of Rolling Shutters designed, manufactured and installed by Palm Coast Shutters & Aluminum Products. 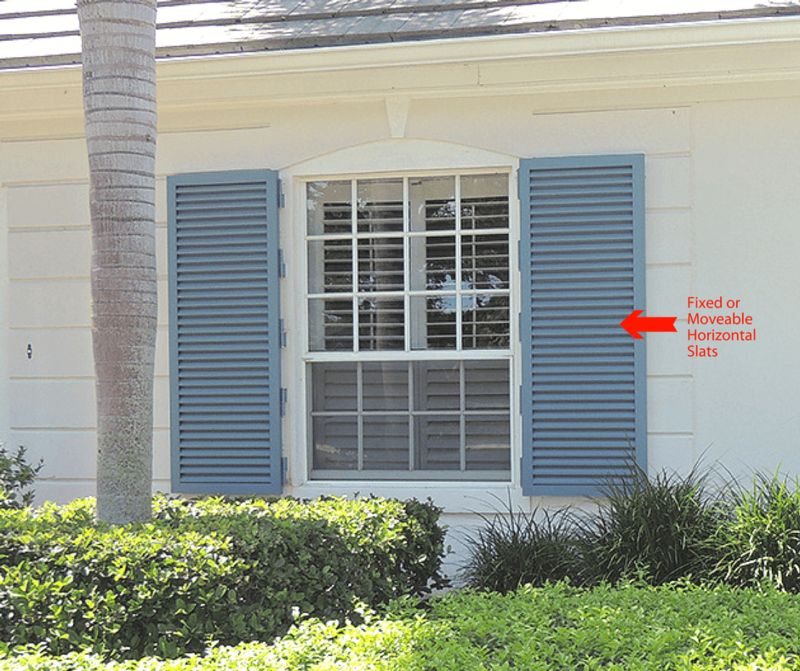 Learn more about Rolling Shutters from Palm Coast. 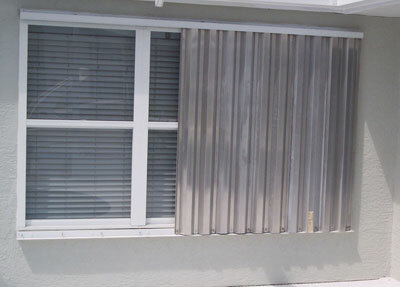 Aluminum panels offer an affordable solution for protecting your home from hurricane force winds. This is the least expensive hurricane protection product on the market and a much better alternative to plywood. Aluminum panels are easy to install and store in the fraction of the space of plywood. The shutters attach to the wall surrounding the opening on anchored bolts or tracks. 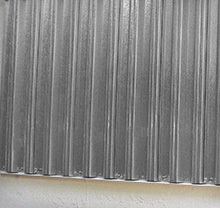 If you’re looking for a cost effective, code approved way to protect your home this hurricane season, aluminum panels may be just what you are looking for. They are a lot more reliable than plywood, much easier to install and last much longer. What Openings Are Aluminum Panels Good For? Aluminum panels are very easy to operate. You either slide them into tracks and then secure them with bolts, or just secure them into place by aligning the panels with the permanently installed bolts surrounding the opening. Aluminum panels are solely functional. They are for hurricane protection and do not serve any sort of decorative purpose. Click on an image to view it larger. 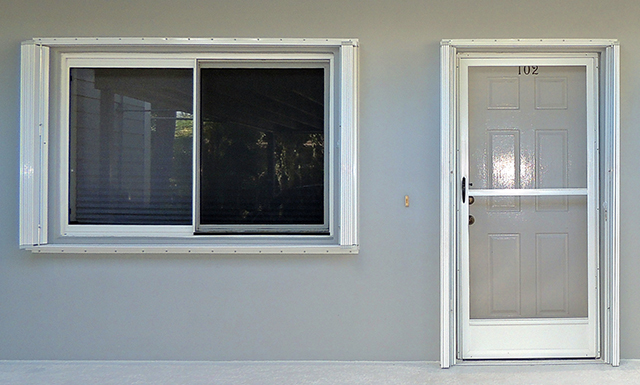 These images are of Aluminum Panels designed, manufactured and installed by Palm Coast Shutters & Aluminum Products. Learn more about Aluminum Panels from Palm Coast. What Are Clear Lexan Panels? 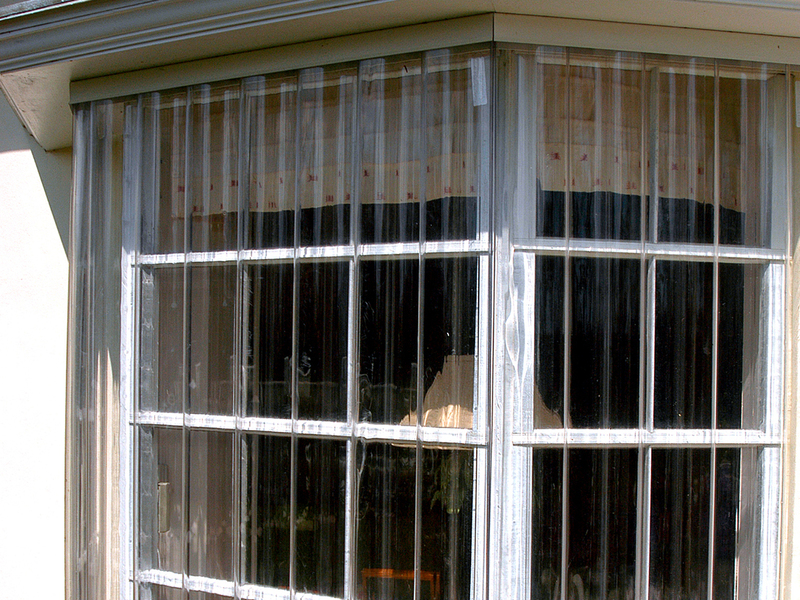 Clear Lexan panels offer code approved hurricane protection that allows light to enter the home so you can protect your property without feeling closed in. Clear Lexan panels are easy to install and so unobtrusive you’re able to leave them in place during the most active part of the hurricane season. They are super lightweight, have no sharp edges, won’t warp and store in a fraction of the space required for plywood. 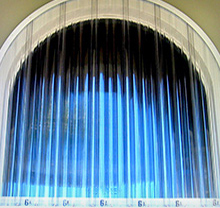 What Openings Are Clear Lexan Panels Good For? HOW ARE THESE INSTALLED/DEPLOYED? SAME AS ALUMINUM PANELS?? Clear Lexan panels are solely functional. They are for hurricane protection and do not serve any sort of decorative purpose. Click on an image to view it larger. 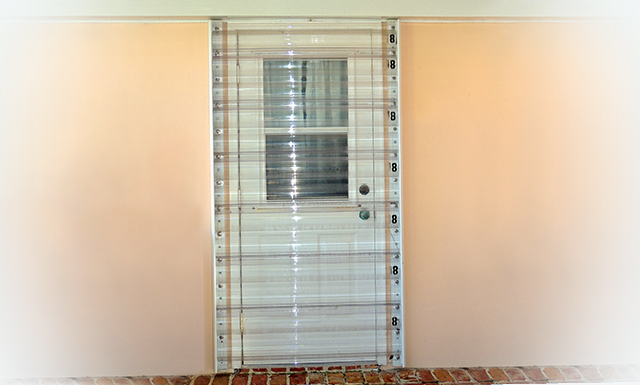 These images are of Clear Lexan Panels designed, manufactured and installed by Palm Coast Shutters & Aluminum Products. 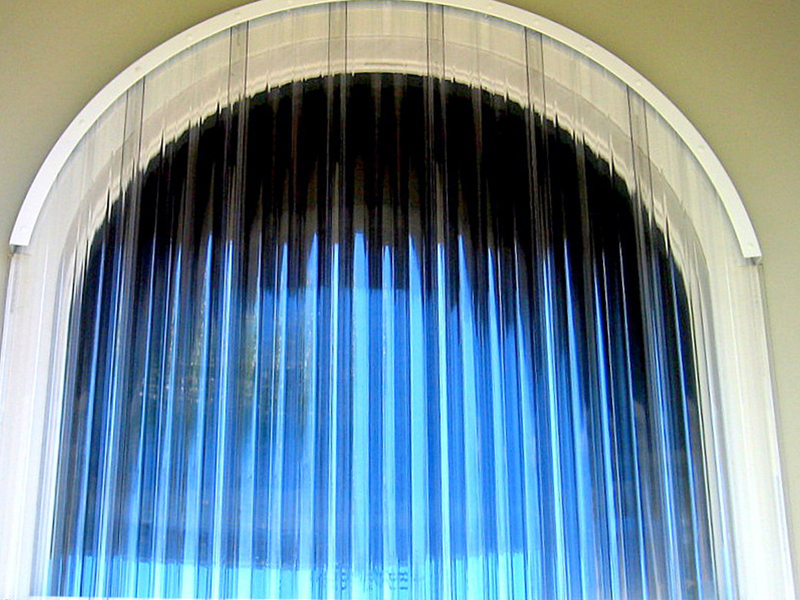 Learn more about Clear Lexan Panels from Palm Coast.